When you need computer help, call for Mousehelp! “Compassionate Care for People with Computers” means computer support and training for everyone! If it can be done with a computer, I can help you do it. And, if you want to be discovered, just ask me! Helping people with computers is what I’ve been doing since 1981. When you need help with anything that involves using a computer, from networking to printing, to websites, social media and SEO, one call to Mousehelp will connect you to the help you need. Looking for Rouzell? Click here. Because I write, I am. Click this link, send a message and we’ll talk soon. If you do it on your computer, Mousehelp can help you get it done! If it is something you do online, Mousehelp can help you get it done! Search my name for all of the content I’ve put on the Internet. Search, “Palm Desert SEO Expert” to see who is at the top of those results! 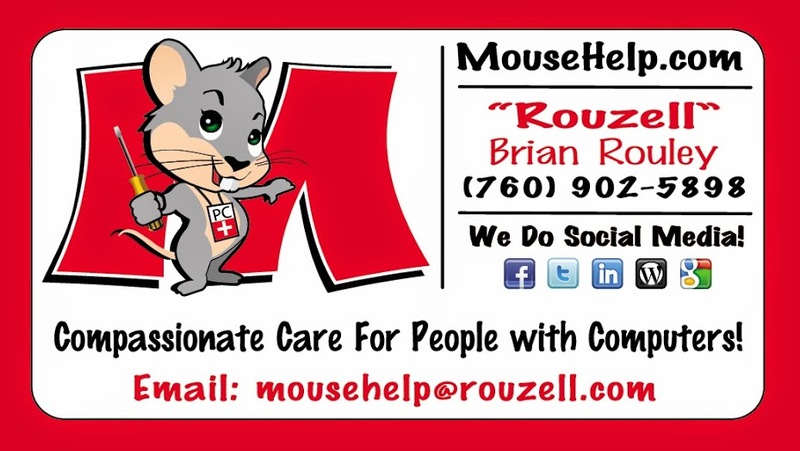 Spoiler alert, you’ll find Rouzell and Mousehelp all over the web. Yes, I did this and it does take some time to achieve these results. My learning SEO results are on mousehelp.org spelled out in detail if you want to see How to Do-It-Yourself with SEO. 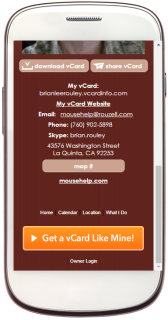 Click the image to get started with your own vCard! Scroll to the bottom and click that yellow bar. You'll like it. I promise. Prefer a contact form? OK, do your thing.